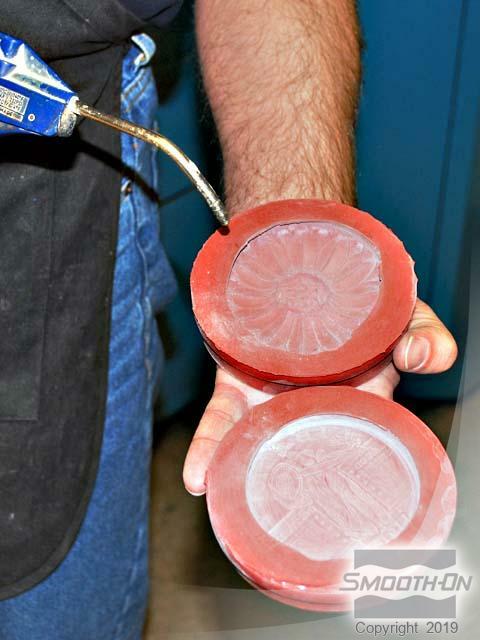 Mold Max® 60 was developed for high-heat resistance applications and will withstand up to 560°F / 294°C. 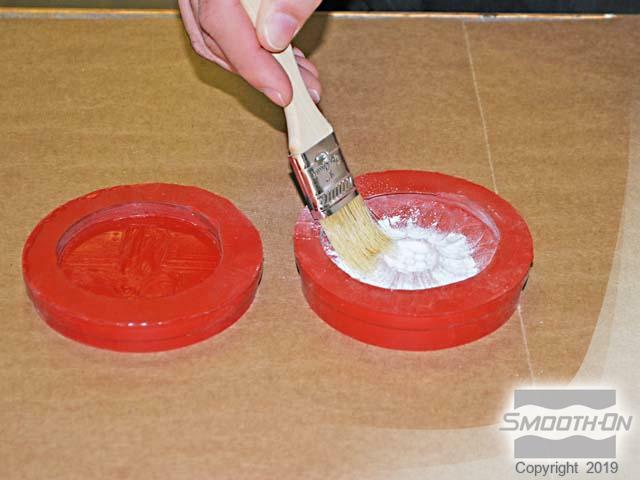 It features a low mixed viscosity and cured rubber exhibits very low linear shrinkage. Parts A & B are mixed 100A:3B by weight. 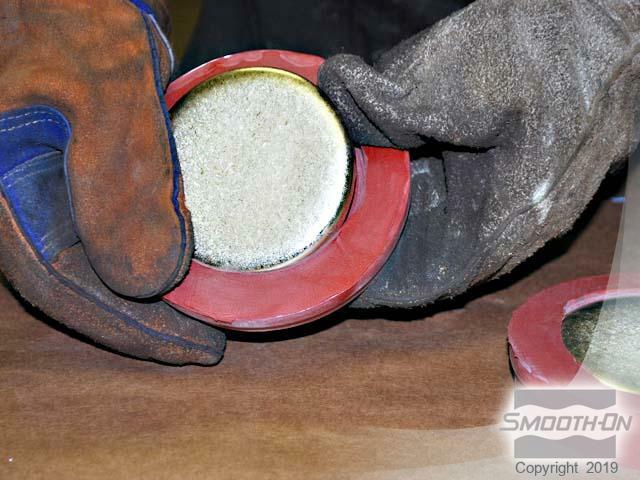 Pot life is 40 minutes and rubber cures in 24 hours to a relatively hard Shore 60A. 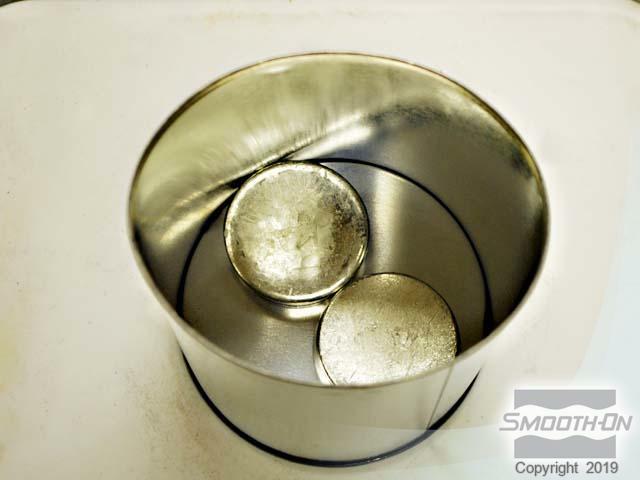 Applications include making foundry patterns, flat pattern reproductions and casting low-temperature melt metal alloys such as tin and pewter. 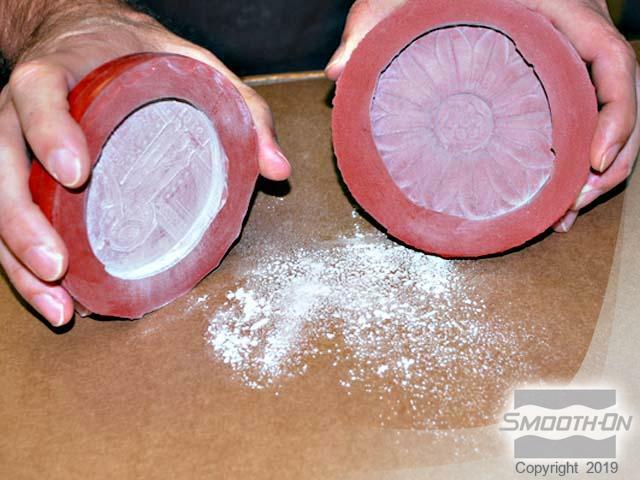 Use talc powder to lightly dust the Mold Max® 60 molds in order to reduce surface tension. 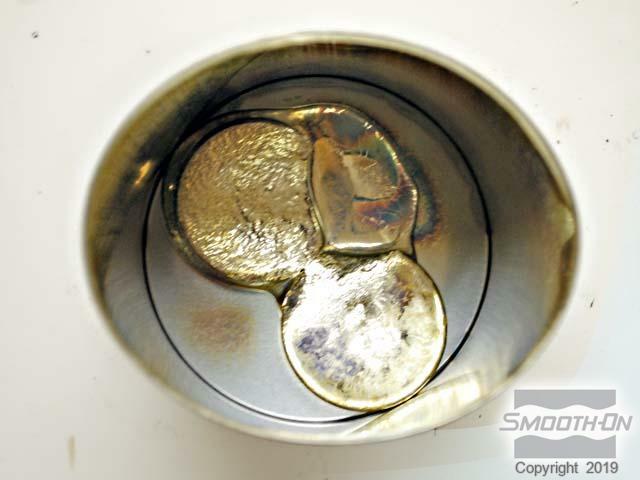 Reducing surface tension enables the molten metal to flow evenly around the mold surface. Be sure to brush the talc evenly into all areas. 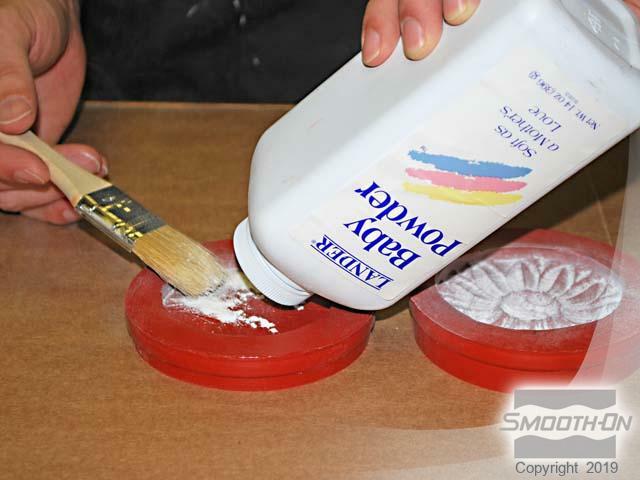 Remove any excess powder by tapping the mold on the table top. 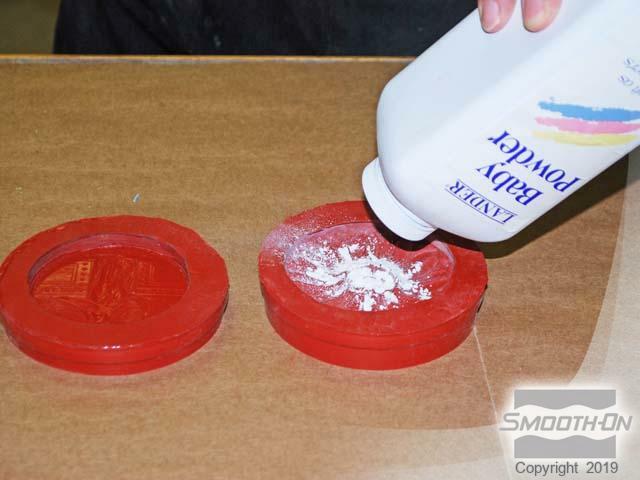 Use an airhose to eliminate any accumulation of talc in the details. 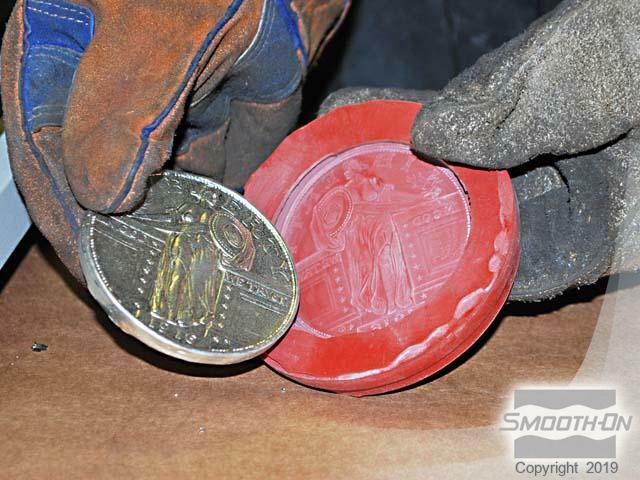 This will leave a very fine coating of talc in the mold. 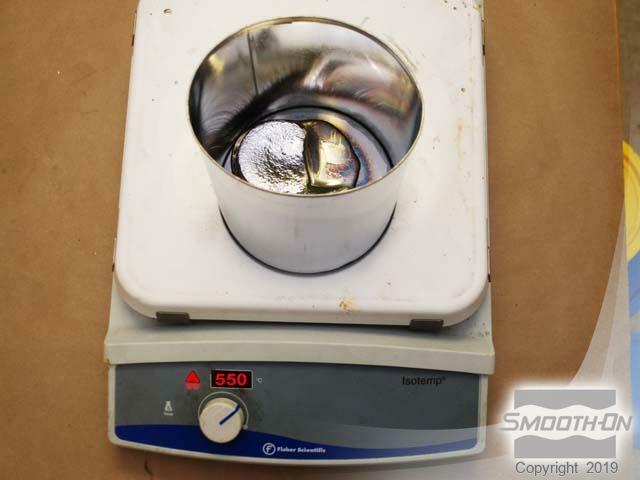 Deposit pewter ingots into the melting vessel and place the melting vessel on a heat plate. 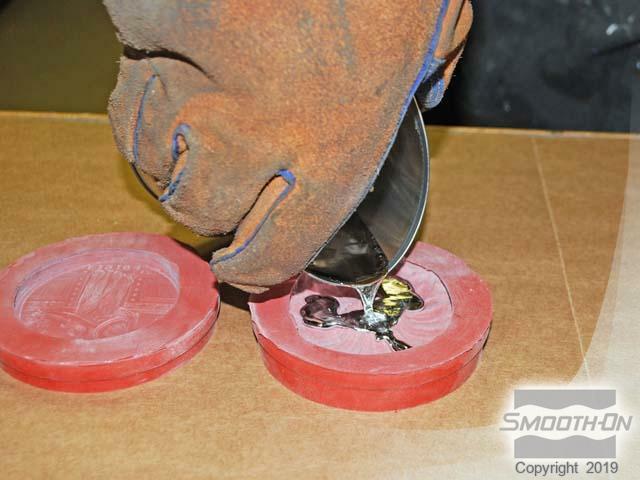 Adjust the heat plate to 550F/290C, which will begin to melt the pewter ingots. 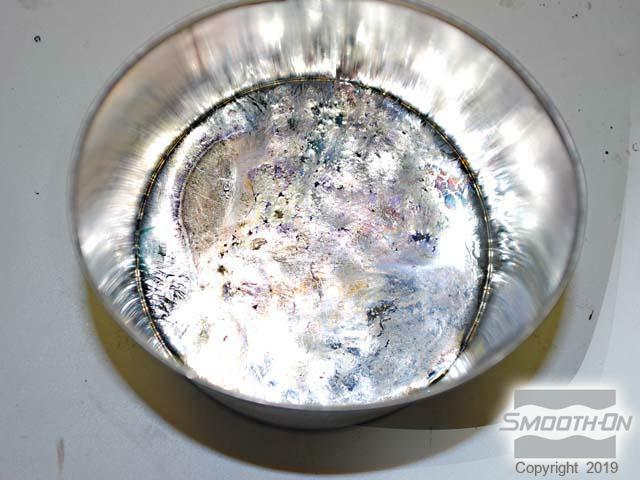 Once they are completely melted the pewter will be in a liquid state. 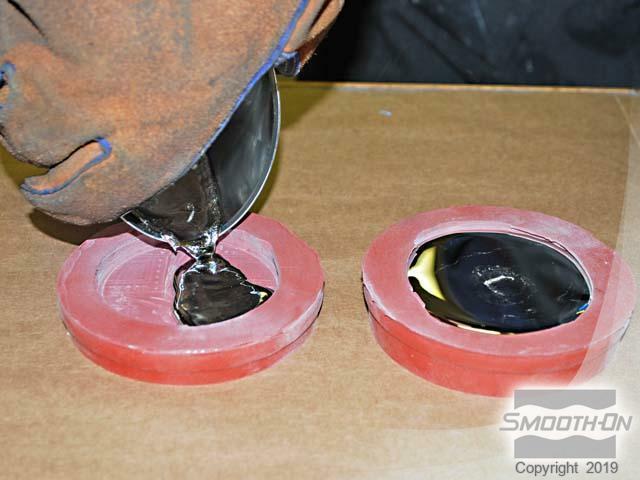 Pour the hot liquid pewter into a mold and continue to fill another mold before the pewter cools. 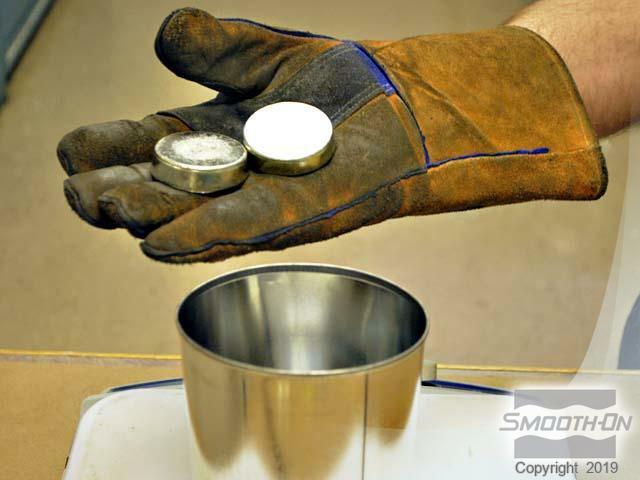 After thoroughly cooling, the piece is ready to be demolded. 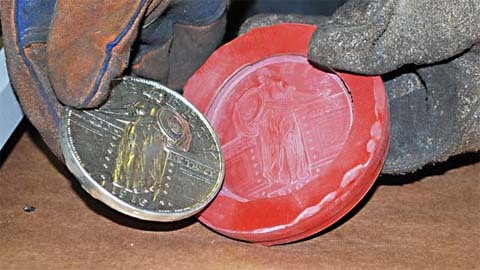 The perfect detail can be seen in the reproduction of the final pewter casting. 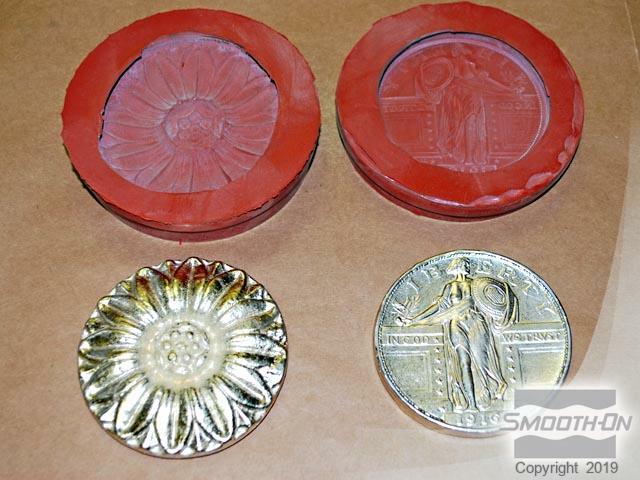 Many castings can be created in a Mold Max® 60 mold.